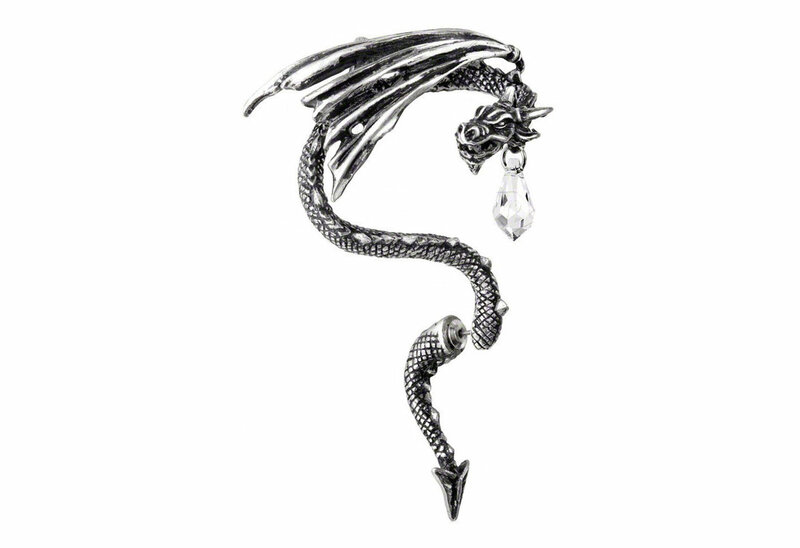 With dramatically outstretched wings the writhing dragon flaunts its Swarovski crystal dropper. Made of English pewter and imported from the UK. 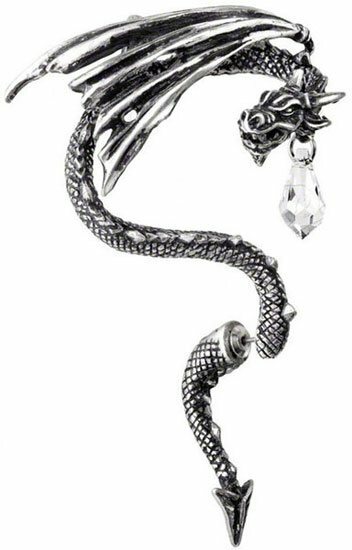 This cuff fits on the right ear and wraps around.